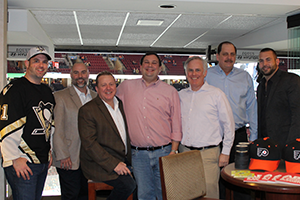 Endowment donors enjoyed a terrific hockey matchup last night between rival Pennsylvania squads, the Pittsburgh Penguins and the Philadelphia Flyers. 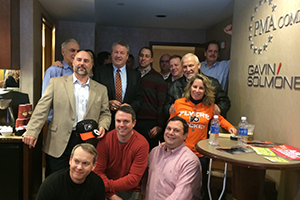 The Flyers won 3 – 2! 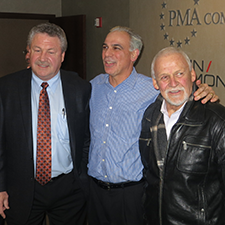 Supporters were also treated to a luxury suite, generously donated by Gavin/Solmonese LLC, and the evening even included a chance to mingle with Flyers greats Dave Schultz (left) and Bernie Parent (right) in the photo to the right with ABI Director Frank Monaco. ABI also thanks Becket & Lee, LLP, Conway MacKenzie, Donlin Recano & Company, Inc., Epiq Systems, Inc., Morris James LLP, Polsinelli, and Summit Investment Management LLC for their generous sponsorship of this event. Three special events will be taking place during the Annual Spring Meeting in Washington, D.C. (April 16-19). First, a silent auction will be held during the event. Items to be auctioned include sports tickets, electronics, and other special items. See below for information on how to donate items to the auction. Next, there will also be an exclusive dinner during ASM to honor high-level donors at Joe’s Stone Crab in Washington, D.C. Save the date for Friday, April 17 and watch the ABI home page and Journal for forthcoming details. ASM will conclude with a special Endowment reception that will feature a meet-and-greet with conference entertainment Lou Gramm, former lead singer of Foreigner, following the Final Night Gala. ABI thanks Becket & Lee LLP, Perkins Coie LLP and Rust Omni for sponsoring this reception. May 4 Join us to support the ABI Endowment Fund and Steven M. Yoder Children’s Trust: Save the date and dust off your clubs! Plan to come out to support two charitable causes at Hartefeld National Golf Club in Avondale, Pa. Cocktails, a silent auction and dinner will be held following golf. Contact Sharisa Sloan (ssloan@abi.org, 703-739-0800) if you are interested in becoming a sponsor. ABI thanks these latest donors, whose names are among a special group dedicated to advancing research of interest to the bankruptcy community. Looking for a Unique Way to Give to the Endowment Fund? Donate tax-deductible items for silent auctions through ABI’s Amazon Wish List! 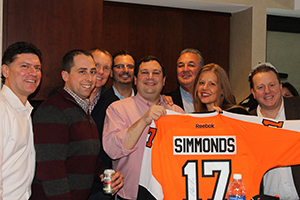 Donating silent auction items is a great way to support the Endowment! Don’t know what to donate? Possible items have been selected and are available for purchase at Amazon.com under a special ABI Wish List. 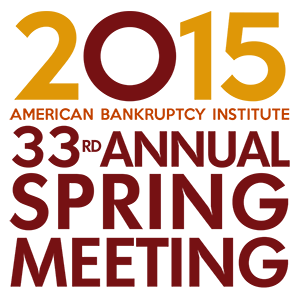 Pick out items now for the silent auction that will be held at the upcoming Annual Spring Meeting, and be sure to place your own bids at the conference. Jennifer M. Meryerowitz – Epiq Systems, Inc.